A majority of this planets living material is made up of microorganisms and microbes. Microorganisms, also known as microbes, are microscopic, single celled organisms. Made from either a single cell (unicellular), cell clusters or multiple cells, these relatively complex organisms help the earths ecosystem to function. Each type of microorganism is unique in the way it moves and reproduces. Most microorganisms are essential to the breakdown of organic materials (decomposition) and producing the planet’s oxygen. They are also known for keeping the health of humans and animals. 1. 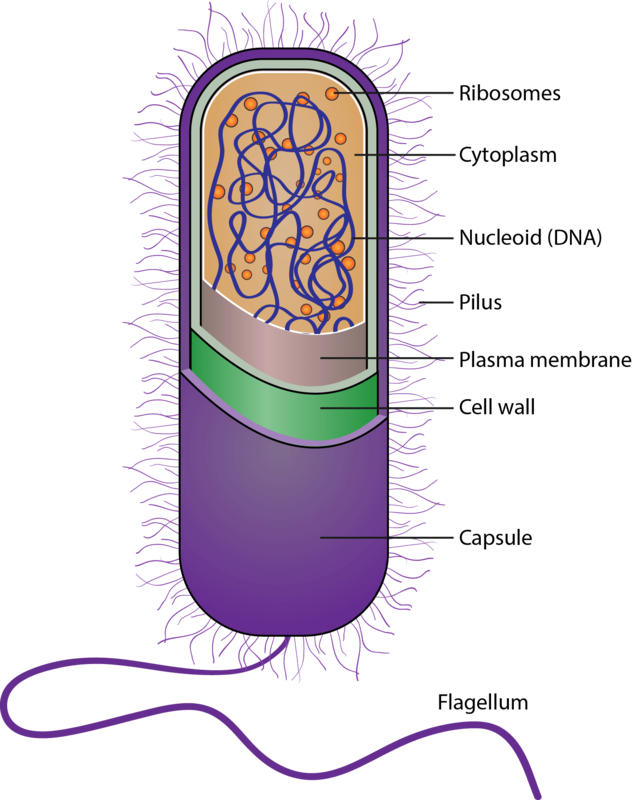 Bacteria: Bacteria are unicellular and exist in 4 shapes: rod shape, sphere, spiral and curved. They can exist in the presence of oxygen or without. Bacteria make their own food by using the energy of light from the sun as well as from chemical reactions or consuming other organisms, such as decaying life. Archaea can survive in the harshest of environments such as those that are incredibly salty, in extreme cold temperatures, extreme hot temperatures and some can produce methane. They absorb sunlight with their membrane pigment, which then reacts with light to produce an energy molecule known as adenosine triphosphate. They also use energy sources such as like hydrogen gas, carbon dioxide, and sulphur. 3. Protozoa: Protozoa are quite complex unicellular who have developed specialised structures to gain nourishment. They make up the largest group of organisms on the planet in terms of biomass, diversity and sheer numbers. They use various methods to obtain locomotion, with some even producing tiny hairs to obtain movement. Algae are also known as cyanobacteria and are multicellular. They obtain nourishment via photosynthesis and live in many environments such as water and sewerage plants, rocks and also in damp soil. They product oxygen, which is used by other organisms. It is thought that these bacterial are where todays land based plants have their origins. Or mushrooms, moulds and yeasts are multicellular. They get their nutrients from absorbing organic material decomposing in their environment. They also form harmful relationships with their hosts, forming tubes to help absorb more material. They release spores to reproduce. Viruses are not considered to be living, as they are non-cellular and are surrounded by a coat of protein. They can only reproduce outside a host cell and are unable to metabolise on their own. Viruses usually infest prokaryotic and eukaryotic cells which causes disease. (multi cellular animals known as helminths): parasites, which are known as helminths are multicellular and eukaryotic and consist of worms that are either round or flat. They are usually large enough to be seen without a microscope once they have matured. B acteria, Fungus, Yeast, Mould & Mildew Spores, Virus and Protozoa are removed by our Bio-Oxygen Process. microorganisms and microbes can be present in many environments. Oxygen Clusters contain 1 – 4 extra electrons and when an organism is engulfed by Clusters of Oxygen then the body of the organism constitutes the Earth Point or lower potential against which all the surrounding Oxygen Clusters discharge their surplus electrons in a rapid short circuit discharge, same as a capacitor discharges its electrons against a lower potential. The organism is continually bombarded with electrons from all sides and when the surplus electrons of one Oxygen Cluster are exhausted another cluster takes its place until the organism eventually dies from hundreds or thousands of electron shots. Organisms can develop immunity to disinfectants but there is no immunity to electron shots. Most organisms have a soft cell wall. The organism is continually bombarded with electron shots. The electron shots puncture the soft cell wall and, as a result, the organism dies. Organisms with a soft cell wall are the easiest organisms to kill. The anti-biotic resistant MRSA organism, Staphylococcus Aureus, has a soft cell wall and is one of the easiest organisms to kill with the Bio-Oxygen Process. Spores have a tough cell wall. In order to kill Spores, they would have to be boiled in a pressure cooker for 2 hours at 120 C. Boiling at 100C for hours does not kill Spores. Spores are continually bombarded with electron shots until the cell wall is punctured or cracked and, as a result, the Spore dies. Wall Some organisms have a Hard Cell Wall. The hard cell wall is continually bombarded with electron shots until the cell wall is punctured or cracked and, as a result, the organism dies. Some organisms have a lipid envelope. Lipids are fats and are very easily oxidised and once the lipid envelope is oxidised, the organism is exposed and dies. Anaerobic Bacteria live in an environment devoid of oxygen and to anaerobic bacteria even ordinary oxygen is toxic. When anaerobic bacteria is engulfed by clusters of oxygen composed of 100% pure oxygen and is bombarded with electrons shots, it quickly dies. Aerobic Bacteria live in normal air containing 21% oxygen, however, when aerobic bacteria is engulfed in clusters of oxygen composed of 100% pure oxygen and is continually bombarded with electron shots, it quickly dies. How long does it take to kill a Micro-organism? (A) The speed with which an organism is killed depends mainly on the size of the organism. The larger the organism, obviously the more electron shots it can take and the smaller the organism, the less electron shots it can take. Viruses are the smallest organisms and can only take a few electron shots. Most other organisms like Bacteria, Fungus, Yeast, Mould, Mildew etc are 100 – 1000 times larger than Viruses and therefore can take much more electron shots. On a time scale, Viruses are killed in seconds whilst all other organisms are killed in minutes. (B) The length of time also depends on whether the organism has a soft, tough or hard cell wall because it takes time for the electron shots to puncture or crack a tough or hard cell wall. Don’t forget that it takes minimum 2 hours in a pressure cooker at 120 C to kill spores and it can take just as long for the Oxygen Clusters to kill spores at ambient temperature, without boiling. microorganisms and microbes are essential for the health of the planet, but can also become a nuisance. The Bio-Oxygen process can control these microorganisms and microbes to keep the air and environment healthy. Air purification is a primary service from Bio-Oxygen. Our range of products clean and sterilise the air in your building or business. Our Bio-Oxygen systems are installed in some of the world’s most prestigious buildings. Our air purifiers have a number of functions, primarily being keeping air conditioning systems functioning with clean air. Air purifiers remove contaminants from the air within any enclosed space. Those spaces could be a room, an office, an apartment, a shop or an entire building. Air purifiers are known to be beneficial for allergy sufferers as well as those with asthma. Air purification is also efficient at removing cigarette smoke from the air. There are many types of air purifiers on the market, however we believe our process is far more efficient and much cleaner. 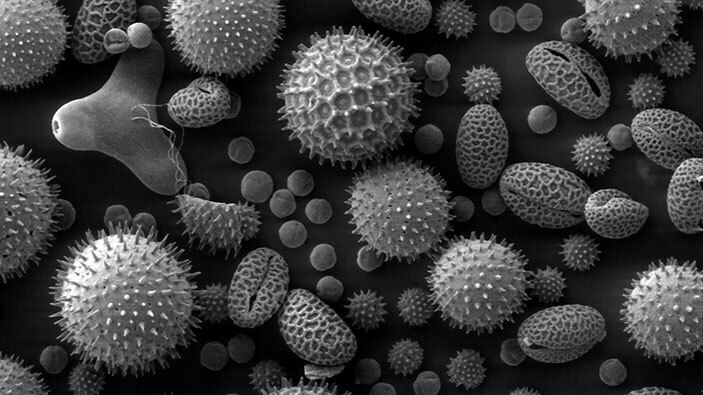 Common allergens such as Dust, pollen, pet dander, mould spores, and dust mite faeces can trigger allergies. Those sensitive to these triggers can experience breathing difficulties and shortness of breath. Also Sick Building Syndrome has been shown to produce these same health complaints. Unintentional exposure to allergens can bring on episodes of sickness to people who have sensitivities. Air purifiers are becoming more sophisticated and can capture DNA damaging particulates, bacteria and viruses. The Bio Oxygen process is a highly efficient way to removed dangerous contaminants from the air we breathe. Our process cleans air inside the air conditioning unit, providing clean and sterilised air for inhabitants of any building, home or office. You can see how the Bio-Oxygen process works by watching the video on this page. We have solutions for commercial cooking kitchens, water sewerage plants, food processing plants as well as cigarette smoke removal. See the customer solutions page for more information. Also feel free to contact us so that we can answer your inquiry in person. Virus and bacteria can be present in air supply and can be spread through air conditioning systems. In order to keep the air sterilised, you must implement a continuous source of decontamination. The Bio-Oxygen process decontaminates, disinfects and deodorises the supply air. The Bio-Oxygen electrode tubes emit free electrons. These electrons are absorbed by the oxygen molecules as their air flows through the electron shower. Electrons make the oxygen molecules strongly magnetic. Bio Oxygen emulates nature. At sunrise every morning, the sun rains down a cloud of electrons, magnetising the oxygen gas in the atmosphere. Making oxygen molecules magnetic which kills viruses and bacteria in the air. Oxygen Clusters contain 1 – 4 extra electrons. When an organism is engulfed by Clusters of Oxygen then the body of the organism constitutes the Earth Point or lower potential against which all the surrounding Oxygen Clusters discharge their surplus electrons. Electrons are discharged in a rapid short circuit discharge, same as a capacitor discharges its electrons against a lower potential. The organism is continually bombarded with electrons from all sides. While this is happening, the surplus electrons of one Oxygen Cluster are exhausted another cluster takes its place. This continues until the organism eventually dies from hundreds or thousands of electron shots. Organisms can develop immunity to disinfectants but there is no immunity to electron shots. Most organisms have a soft cell wall. The organism is continually bombarded with electron shots. The electron shots puncture the soft cell wall and, as a result, the organism dies. Organisms with a soft cell wall are the easiest organisms to kill. The antibiotic resistant MRSA organism, Staphylococcus Aureus, has a soft cell wall and is one of the easiest organisms to kill with the Bio-Oxygen Process. Spores have a tough cell wall. In order to kill Spores, they would have to be boiled in a pressure cooker for 2 hours at 120 C. Boiling at 100C for hours does not kill Spores. Spores are continually bombarded with electron shots until the cell wall is punctured or cracked and, as a result, the Spore dies. Some organisms have a Hard Cell Wall. The hard cell wall is continually bombarded with electron shots until the cell wall is punctured or cracked and, as a result, the organism dies. (A) The speed with which an organism is killed depends mainly on the size of the organism. The larger the organism, obviously the more electron shots it can take and the smaller the organism, the less electron shots it can take. Viruses are the smallest organisms and can only take a few electron shots. Most other organisms like Bacteria, Fungus, Yeast, Mould, Mildew etc. are 100 – 1000 times larger than Viruses and therefore can take much more electron shots. 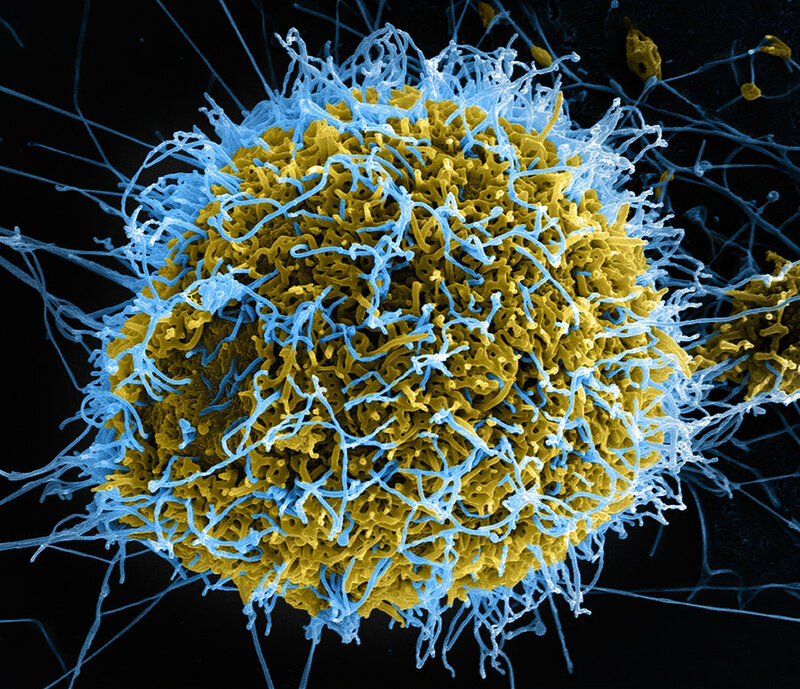 On a time scale, Viruses are killed in seconds whilst all other organisms are killed in minutes.